A fancier mug frog. We make these out vegetable tanned leather and each is hand dyed and finished. You have your choice of black or brown leather and antique silver or gold hardware. The loop and button style closure is the best type,as the weight of the mug actually keeps it secure in the hanger. 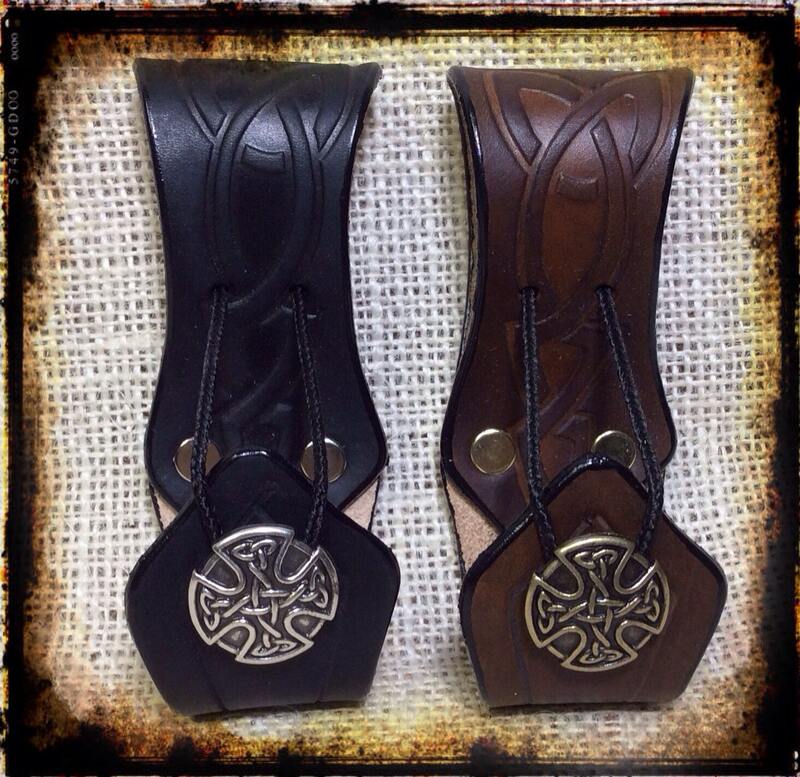 This frog has celtic knotwork embossed on it for a more elegant look!